Pre-release Album Review: The Maiden of Stonehenge by three times GRAMMY® Nominee Dr. Michael Brant DeMaria. Award-winning Michael Brant DeMaria is a three times GRAMMY® Nominated recording artist, psychologist, author and speaker with a dramatic new soundtrack album for 2012. Four years in the making, The Maiden of Stonehenge is a musical soundtrack to an original theatrical play of the same title co-written by Michael DeMaria and Stephen C. Lott. 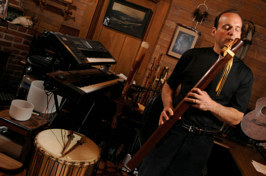 Michael DeMaria is an esteemed artist in the new age music community, and like all of his arrangements, The Maiden of Stonehenge is both a significant release and highly anticipated new album in 2012. Michael DeMaria’s three GRAMMY® Nominations for Best New Age Album of the Year, Bindu, Gaia, Ocean & Siyotanka each have risen to the top #1 position on Zone Music Reporter’s Radio Charts in the New Age Albums category. Extensive worldwide radio coverage of his four releases in the Ontos Healing Sound Project at XM/Sirius Radio, Soundscape Cable, Satellite and internet radio stations has led to numerous Zone Music Reporter’s Best Album Awards. First in the Ontos Healing Sound Project Siyotanka won a Native American Music Award and earned a GRAMMY® Nomination in the Best Native American Music Album category, and won ZMR’s Best Native American Album in 2009. 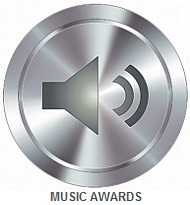 Second in series Ocean won Zone Music Reporter awards in two categories of Best Ambient Album of 2009 and Best Relaxation/Meditation Album of 2009. 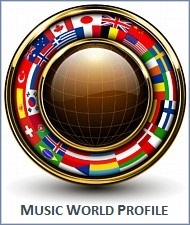 Gaia likewise was awarded in the two categories of Zone Music Reporter’s Album of the Year and Best World Album. 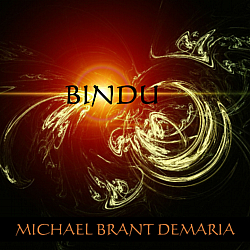 Earlier in 2012, Michael Brant DeMaria’s fourth in the Ontos Healing Sound Project series Bindu debuted at #1 and remained on ZMR’s New Age Radio Chart for two months in a row. The Maiden of Stonehenge is the most elaborate musical odyssey Michael Brant DeMaria has brought to life yet. 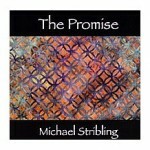 Familiar with every one of his releases, Michael’s new album for 2012 will surprise anyone acquainted with his earlier arrangements. 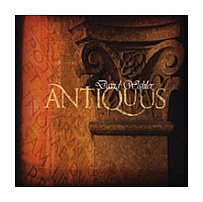 The soundtrack recording wonderfully illustrates the story based theme for a musical journey centered on the life and adventures of an young orphan girl in ancient Britain as she finds her way to the ancient Circle of Stones. 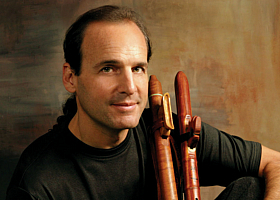 Although Michael performs on a number of ethnic flutes, keyboards, and synthesizers like earlier releases, listening to his newest album was truly a revelation since each song is conveyed in unique fashion to all other songs from previous albums. For the first time vocals are uniquely integrated into a number of songs by Michael, and of lead vocalist Maggie Crain on the songs Chantress & Stonehenge. Beginning with the deeply mysterious first overture Lost Village to the harmonious conclusion in the final song Stonehenge, each scene is crafted to reveal a vivid musical adventure. 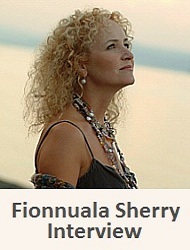 Inside the audio CD album, cover notes give the setting to each of the 13 songs that enable the listener to follow the storyline. The Sounds True record label is another store where you can find the two albums In The Flow & Solace. 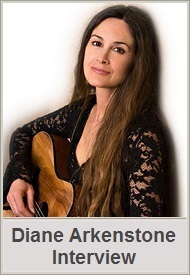 Both albums are designed for patient therapy and emotional well-being in his professional role as a Music Therapist. 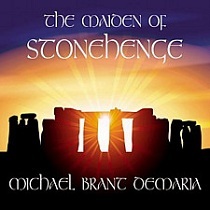 The Maiden of Stonehenge is the most impressive album to compliment the long linage of award-winning albums by new age, instrumental and world music recording artist Michael Brant DeMaria. 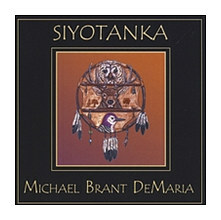 Visit Michael Brant DeMaria’s Ontos.org music section to sample and purchase his albums, or visit the store page for Michael DeMaria at Amazon.com, CDBaby and iTunes. The Maiden of Stonehenge is a pre-release currently available at major online stores prior to the official release date of winter 2012-2013. Photos and cover artwork are courtesy ontos.org. The 54th GRAMMY® Award Nominations for the New Age Music genre category were recently announced several days ago during a live presentation and concert at the Nokia Theatre L.A. Live in Los Angeles. The televised CBS broadcast which aired on November 30, 2011 began the official countdown to announce the 54th GRAMMY® Awards for 2012. The 54th Annual GRAMMY® Awards will be televised live on CBS from Staples Center, in Los Angeles on Sunday, Feb. 12, 2012. The CBS Television Network will air the live awards program at 8 p.m. ET/PT. 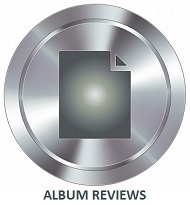 I know two of the five artists nominated this year, and have written album reviews for Al Conti’s Northern Seas album and Michael Brant DeMaria’s Gaia album, if you would like to read my album reviews of two nominated releases for 2012. I published an interview with Michael Brant DeMaria in January of 2011, and there is an earlier Michael Brant DeMaria interview in 2009, for more about Michael. 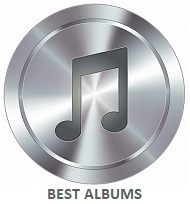 The GRAMMY® Nominees for Best New Age Album are shown below alphabetically. I have sampled all five albums and can say they are all great releases. You can sample or purchase each GRAMMY® Nominated album by clicking on the direct links to each CD or MP3 album at Amazon.com. 1. Northern Seas by Al Conti – Shadowside Music. Sample Northern Seas at Amazon. 2. 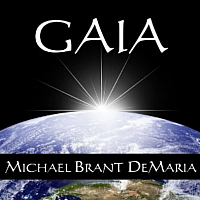 Gaia by Michael Brant DeMaria – Ontos Music. 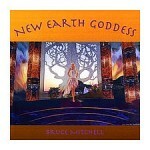 Sample Gaia at Amazon. 3. 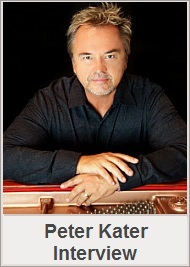 Wind, Rock, Sea & Flame by Peter Kater – Point Of Light Records. Sample Wind, Rock, Sea & Flame at Amazon. 4. What’s It All About by Pat Metheny – Nonesuch. Sample What’s It All About at Amazon. 5. Instrumental Oasis – Vol. 6 by Alejandro Zamora – Z-Records. Sample Instrumental Oasis – Vol. 6 at Amazon. Read more about the 54th GRAMMY® Awards at Grammy.com and here is the complete list of GRAMMY® Nominees. 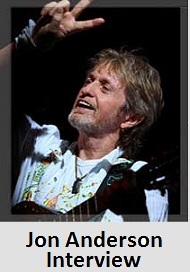 Photos are courtesy of their respective artists & grammy.com. 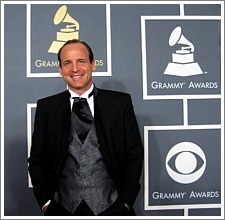 On the eve of the Grammy Awards scheduled for February 13 2011, review publicist John Olsen has just conducted an in-depth interview with award winning composing musician and 2010 Grammy® Nominee Dr. Michael Brant DeMaria. In this second interview with Dr. DeMaria, we present to our visitors defining insight into the life of an esteemed new age and world influential musician whose music career is very much in the forefront of today’s music scene. John P. Olsen : Thank you Michael for taking time away from your work and agreeing to our interview on short notice. You are a clinical psychologist, recognized poet, author, public speaker, and now a twice Grammy® Nominated musician with your 2010 Ocean album currently under consideration. Were you anticipating the Ocean album would turn out to be your second Grammy® Nomination this year, and with the awards ceremony soon approaching, what are your expectations for winning a Grammy® in the New Age category with Ocean? Michael Brant DeMaria : First off, I want to thank you John for taking the time out of your very busy schedule to sit down with me as well. It’s always a pleasure to hear from you and I have great respect for the work you do. As always, your question goes right to the heart of the matter. As you know the New Age category is an extremely competitive category. However, in the back of my mind I knew Ocean was number 1 on the New Age chart for 3 months and did win two very prestigious awards, Best Ambient Album of 2009 and Best Relaxation/Meditation Album of 2009. I knew it was possible, but I did not think it was probable. Not only was Ocean competing with luminaries and legends in the New Age world, Ocean happened to be up against albums by Olivia Newton John and Tina Turner who both had their entries in the New Age category this year. As far as winning, I have no expectations. 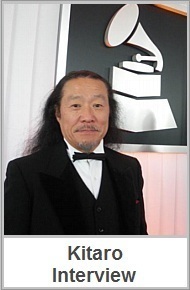 Once again, the other nominees in my category are true legends in the world of New Age music, Paul Winter, Kitaro, and R. Carlos Nakai. Each of these men have influenced and inspired me over the last 25 years. I am very humbled just to be in their company. At the same time, I try to live by the Samurai warrior saying, “Expect nothing, be ready for anything”. John : You have studied and performed with friends and past Grammy® Winner David Darling, along with Grammy® Nominated R. Carlos Nakai. 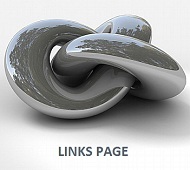 What are your connections with colleagues David Darling and R. Carlos Nakai over the years? 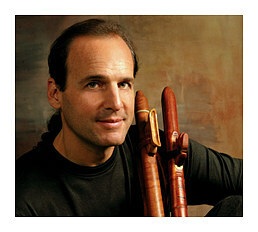 Michael : R. Carlos Nakai is responsible for me picking up a Native American Flute 17 years ago. I was traveling through Glacier National Park in Montana on my way to enact a very traditional vision quest. I found a copy of Nakai’s Earthspirit and put it in my tape player in the car while I was driving. It was the first time I had ever heard the Native American Flute and it literally brought tears to my eyes. Although I had played piano, synthesizers and percussion most of my life, as soon as I heard the hauntingly familiar sound of the flute I knew I had to play it. When I finally did find one to play – it was like finding an old friend. 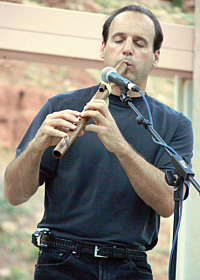 Years later I joined Nakai’s organization, INAFA, The International Native American Flute Association – and have been a member for over a decade. It was at INAFA conventions in Taos, NM and San Francisco, CA that I finally had a chance to meet and play with him. Not only is he an amazing talent, but a very generous man with his time and knowledge. Likewise, David Darling’s life, teaching and music have been and remains a very strong influence in my life. I had been listening to his music for many years when I heard about his Music for People program which trains people in the art of improvisation and facilitation. 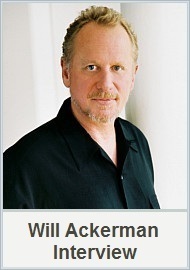 I took my first workshop with him back in 2005 and was immediately hooked. I apprenticed in the program for 4 years and graduated in 2009. In my opinion, he has done more than almost any other musician to teach the finer and deeper aspects of the art of improvisation. He is truly a master in his craft and actually is teaching much more than music – but actually a way of life based upon compassion and creativity. The highlight for me last year attending the Grammy’s as a nominee was having the opportunity to see him win, in person, his very long overdue Grammy® for his amazing album, Prayer for Compassion. John : I read an article by the prominent author and past entertainment editor for the LA Times Richard Rushfield, where he mentions your name when giving his assessment of the 2010 Grammy® choices. 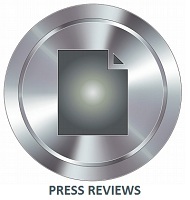 What was your reaction to his article titled Handicapping the Grammys : Best New Age Album? Michael : To be honest John I was a bit overwhelmed by it. Someone sent me a link to the article and my first thought was, “Boy I bet they don’t even mention me”, being the relative unknown in the category this year. After I read it I was very moved and appreciative of his kind and generous words, particularly about the track Moonlit Sea on my album Ocean. Of course, he admits I am a long shot, but a long shot nonetheless, who he thinks actually has a chance. John : In your professional life Michael you are an equally devout music professional and psychotherapist. Would you ever pursue one profession over the other at some point in your life, or is it safe to say you are, and always will be recognized as a recording artist and a therapist? Michael : You’re not the first who has asked me that question John. For me, an artist does for a culture, what a therapist or healer does for an individual. In this way, I feel they are two sides of the same coin. I also find they inform and balance each other in my life. Composing and writing are very solitary and deeply self-absorbed tasks that can take a lot out of you. After 4 days of that kind of intense work I’m really ready to sit across from somebody and be totally there for them. Of course, after 3 days of really being there for others I’m ready to dive back into the solitude of the creative process. I find one replenishes what the others depletes, like crop rotation – it has been a blessing in my life how they have woven themselves together. Now I don’t know what the future holds – but in some way I will always be active in both – although the format for how that may evolve remains to be seen! John : Michael, you have already realized many achievements in many aspects of your life and I wondered if you would answer a more personal question by telling us what has been the motivating force in your life? Michael : The primary motivating force in my life is love. Love in the sense of what the Greeks called agape – which is a love for life itself and humanity. I love life, I love people, and I love to create. I feel very blessed that I have been given the opportunity to express what is nearest and dearest to my heart. For me, love is about connection – and unfortunately we live in a time where most people feel a profound disconnection from life, nature, each other and even from their own hearts. The Cherokee say our first teacher is our heart – and unfortunately in our culture we leave that teacher far behind too early in our educational system and in our society. It’s very much my mission in my life to bring a bit more heart into the world through my writing, speaking and music. 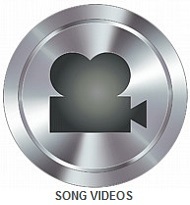 John : During the past several years your music career has noticeably gained momentum and taken flight so what do you believe are the reasons your music compositions have repeatedly been granted numerous honors and award considerations over the years? Michael : You are so very kind John. To be completely honest I really don’t know. What I can tell you is this. My music comes from a very humble and sincere place. When I go into my studio to record I have no interest or desire for any recognition or awards. It’s the furthest thing from my mind. I have no interest in impressing anyone – only in being true to my journey and the experience of the moment. I’m still that 6 or 7 year old boy who went to the family piano to take a sonic adventure – and to help me connect with a greater presence. In that way, it’s a spiritual practice for me. In this way, my albums are all crafted to take the listener on a journey. Each journey actually begins where the last one ended – they build upon each other. In fact, in many ways The River, Ocean and Gaia are a trilogy. They are also part of the larger Healing Sound Project which I have been dedicated to for the last 8 years. It has been a joy for me to see how this music created with the intent of making the world a bit more peaceful, soulful and heartfelt has been embraced so deeply. 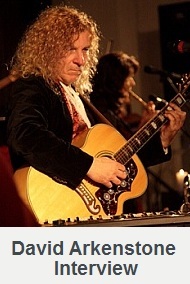 John : In our earlier interview everyone had a chance to learn you have donated your time and talents by performing at fund raising benefits and concerts including the Gulf Oil Disaster in 2010 so could you tell us about the charity work you have been involved with over the years? Michael : I have always felt John that it’s important to give back and whether it has been donating to Native American charities from Siyotanka or wildlife recovery from the gulf oil spill from Ocean, I try to make the project connect to something greater – something more than just about me. I love to play, create and record – so it is simply an added bonus when concerts or albums bring attention to well deserved programs. The world is in a state of great need today – and I believe artist have a unique ability to draw attention to worthy causes. Just as all my albums are concept albums – they are all designed hopefully to teach as well as to be enjoyed for the pure joy of listening. John : Thank you again Michael for the opportunity to learn more about your amazing career. It has been an honor to get to know you personally while providing coverage of your lifework and career achievements for our visitors. Is there anything you would like to mention before we close? Michael : The honor has been mine John. 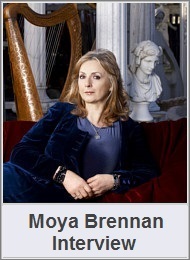 You do a great service to all of us in the New Age music world through your many efforts. I did want to mention I’m working on a new album – I don’t want to say too much about it, and the title is even in flux at this point – but I hope it will be available for release in late 2011. Let us just say that it is a project I’m very excited about and will be another very unique sonic journey for the soul, this time exploring the mystery of creation itself. Thanks again John and wishing you, B.T. Fasmer, and all your readers a happy, healthy and joyous 2011! 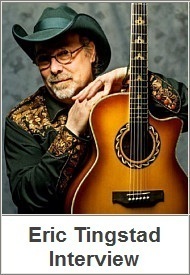 Visit ontos.com homepage and then sample / purchase on his albums page and CDBaby.com page or Amazon.com page. 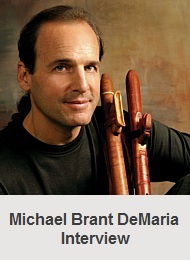 Read our earlier interview and album reviews on our page dedicated to Michael Brant DeMaria. Copyright images courtesy Michael Brant DeMaria. 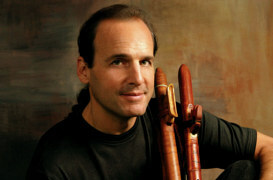 Grammy Nominated Michael Brant DeMaria PH.D is a clinical psychologist, composing musician and author with a new release in his Ontos Healing Sound Project which is essentially the achievement of over 25 years in personal and professional research by Michael Brant DeMaira’s directive into the fundamental principles of auditory healing techniques. 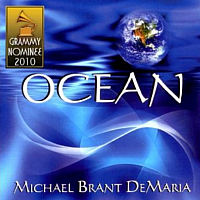 Michael Brant DeMaria was Grammy Nominated in 2009 and I was pleased to learn his second in series Ocean, which ended the year 2009 with ZMR’s Best Ambient & Best Relaxation Album Awards, and presently Grammy Nominated for Best New Age Album award for 2010. 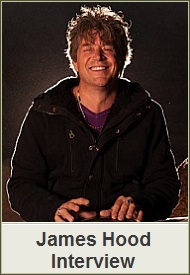 Gaia is his current 2010 release in the Ontos Healing Sound Project. 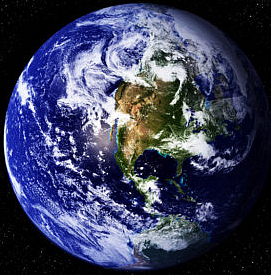 Gaia has a concept theme based on respected Earth Scientist Dr. James Lovelock’s Gaia Hypothesis, whose research studies involving planetary exploration while at NASA led to his famous Gaia Hypothesis which interprets the Earth we share as one cohesive single living organism. Gaia is a new release where Native American flutes and percussion in modified resonance begin their ethnic exploration and is one of the more exclusive releases I have written about as a review publicist. 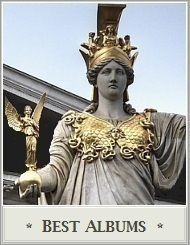 Gaia has every hallmark for success and rightly so. Michael’s music, books, art, and poetry have acquired recognition in the United States and international acceptance in Australia, Europe, and Russia, touching many with his universal message. Siyotanka is the story based narrative and soundtrack score that secured a Native American Music Award ( NAMA ) in the Native Heart category, and then lead to his Grammy Nomination for Best Native American Music Album, along with winning the Best Native American Album during the year ending ZMR Music Awards for 2009. Ocean is a unique blending of Ambient & Contemporary Instrumentals and was first conceived to help hurricane survivors begin anew and return to a more peaceful existence, but then after the 2010 Gulf Oil Disaster, Ocean became a second symbol of recovery since Michael donated his time performing concerts around the Gulf Coast Region, along with donating a portion of sales proceeds for the still ongoing wildlife recovery. Congratulations again and all the best during your visit at the 53rd annual Grammy Awards for 2010 Michael ! Visit ontos.org to sample / purchase his music or visit his CDBaby.com page and Amazon.com page. 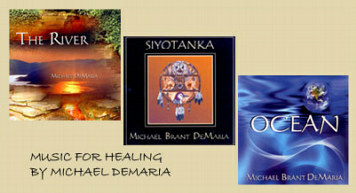 You can visit his michaeldemaria.com blog and read a recent in-depth interview with Michael and I along with my reviews of his award winning albums on our pages dedicated to Michael Brant DeMaria. Shown below is my recent review quote I wrote about Michael’s Ocean release and feature YouTube video from the Ocean album titled Surfacing. 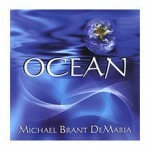 Michael Brant DeMaria’s Ocean release helps reclaim the natural bond we share with our greater oceanic waters while rejuvenating our vital relationship, interweaving calming ambient therapy in a bright reflection that restores a more positive link with our mysterious yet life sustaining oceanic hydrosphere. 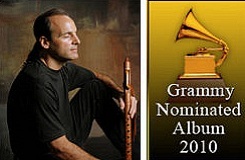 Michael Brant DeMaria, PH.D, is a recent Grammy Nominee making the news lately. Likewise, our recent interview together gave many people an in-depth look into the life of a clinical psychologist, composing musician, poet, author, and dedicator of his Healing Sound Series. Knowing Michael better now, it’s clear to me his music is an instrumental model in itself, much like his art, books, and poetry, all of which have acquired U.S. recognition, along with international acceptance in Australia, Europe, Russia, and other parts of the world. In his psychotherapy practice, Dr. DeMaria created ONTOS (Greek for Being) to help people live more meaningful and effective lives by ambient music interwoven as relaxation therapy. I feel The Series can be perceived much like a form of cognitive conditioning, becoming an audible portion of his personal inner message by design, helping one acquire a new perspective and begin a refreshing journey on a path to wellness through calming music. The River first began the Healing Sound Series, with Ocean his second project based on over 25 years of personal and professional research in the fundamental principals of sonic healing techniques. Ocean was conceived to help hurricane survivors much like himself, begin anew and return to a more peaceful existence. 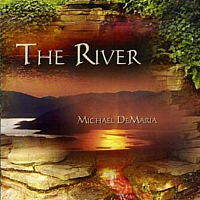 Where our rivers are a beginning source during their natural paths across the landscape, The River by Michael Brant DeMaria is like a template to discover a new direction, if even for a single day. In addition, while help customarily arrives in the form of understanding words from this highly educated man during his medical practice, Michael’s healing music has a similar philosophy. It is where gentle curves in The River now become the stimulus equivalent for discovering a natural direction in which to travel. 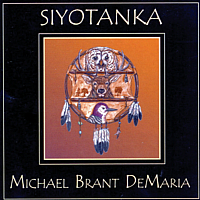 Siyotanka is the third story based narrative that won a Native American Music Award in the Native Heart category, and placed him on the Grammy ballot for Best Native American Music Album, also retaining the # 1 position on ZMR Top 100 charts in December 2009. “The River is an album dedicated to all who listen from the heart” are words Michael used to analyze this first in series. More than familiar with his music, I find this a true description of his work. Descriptive song titles likewise assist in what you will hear on The River, which relies on Native American Flutes, keyboards, piano, and indigenous percussion to form the reservoir, rising momentum, and infiltrating sunbeams heard in beginning ambient songs First Light, The River & Sunlight. Journeying is one of the more intriguing songs to me, having a rhythmic percussion and keyboard enhanced xylophone effect that paints a serene picture. When left to the imagination, Journeying places one in a forest habitat, residing right beside gently lapping water’s edge in a restful moment of singular, peaceful solitude. The Rain features an indigenous flute solo while a thunderstorm’s echoing claps can be heard in the distance as if releasing every negative thought from afar. The imagery of light water droplets dispersing transform to create a colorful sunset at dusk, leading into piano and woodwinds calming sounds in a quiet Night Fall. Moderate keyboard sequences, along with single touches on the piano keys treble octaves make positive reflections in Moonlight & Stillness lightly glow by their conforming ambient phrasing, while indigenous woodwinds direct a more solemn indication to denote the threshold hour of Midnight. The River’s 10 song origins instinctively find a natural pathway to The Sea where most rivers lead. In comparison to seas partially confined and bound by land, Michael’s directive of these rivers hope to point towards a new concept releasing everyone’s unlimited potential, in relation to the vast open horizons observed in our five greater oceans. 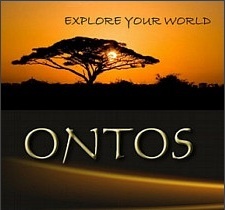 Visit ontos.org here and then sample / purchase on his music page, or CDBaby.com page. Read our interview on our page dedicated to Michael Brant DeMaria. 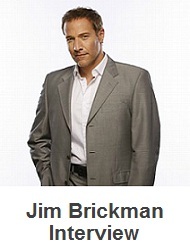 Picture copyright Bigstockphoto.com – WizData. 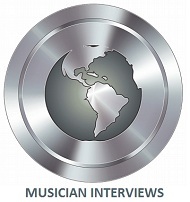 Composing musician Dr. Michael Brant DeMaria, clinical psychologist, recognized poet, author, public speaker, and now recipient of a prestigious Grammy Nomination, was interviewed by John P. Olsen, New Age Music World host and contributing author with NewAgeMusic.Nu. John Olsen : Giving the fact the Christmas season has arrived, your musical and professional endeavors are numerous, thank you for taking time out for us Michael. BT Fasmer and I also congratulate you on your current Grammy Nomination and recent win with the Native American Music Award, (NAMMY) in the Native Heart category in October. This must be very rewarding, so how does it feel to be recognized by these achievements, and why do you think Siyotanka makes such a decisive impression on those who make award decisions? Michael Brant DeMaria : Thank you so much John, and please thank BT Fasmer for me. Your words are greatly appreciated. It is a great honor to be recognized with a Native American Music Award. Although I work in many genre’s of music including New Age, World and Ambient music – I have a deep love and respect for Native American culture, music and wisdom and it’s meant a great deal to me – so this honor is particularly meaningful. The music of Siyotanka really appears to have touched many people with its sincerity, simplicity and honesty. My goal with the music was to serve the story and try to tell the story musically even if you had never seen the play or are even unfamiliar with the Legend of Siyotanka. What’s beautiful about it is it is really an archetypal story for musicians. We don’t have room to go into the whole story here – but what I can tell you is it’s a story about finding the song that lies inside of our hearts and the importance of sharing that song with the world – because it is that soul song that tells us who we are, where we come from and where it is we are going. Ultimately, it is also a story about peace – how wood is fashioned for the first time into an instrument of love instead of into a weapon of war. I think that is truly an important story for our time. John : You have also performed with Grammy nominees, past winners, and are now among a select group of musicians. Who are the artists you have performed with in the past, and what is it like to perform with these other fine musicians? Michael : Thank you again John for your kind words. It is an incredible honor to be recognized in this way. My first love was music and it has been my therapy and a balm to my heart and soul so often in my life. 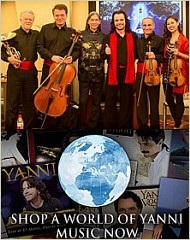 I’ve had the honor of performing with many of my musical heros. Two in particular, David Darling and R. Carlos Nakai are two that inspired me for many years. It was Nakai’s Earthspirit which was the first Native American Flute recording I ever heard. It literally brought tears to my eyes. David’s cello can also just reduce me to a puddle. To admire someone for so many years and then have the opportunity to play with them is a true joy. I actually have studied with David over the last four years and am know certified with him as a Music Improvisation Teacher through his Music for People program. He has a huge and generous heart. 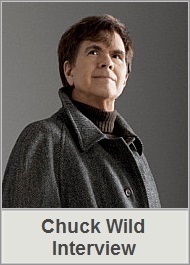 He’s nominated in the New Age category this year. John : Perhaps you could tell us how your musical odyssey began. What were the circumstances of your early beginnings in music, and how did you progress from there? Michael : At the age of 6 years old I would go to the family piano and strike one note at a time and close my eyes to enjoy listening to the note arise and then slowly dissipate. I could do that for long stretches of time. I had a number of surgeries as a child and I realized at a very young age that this process was very healing and soothing for me. I realize now as a psychologist it was a form of music therapy I was practicing – like meditation or self-hypnosis – a trance state if you like. For me, all I know is it felt very sacred to me and could take me to another world. Then the next turning point musically came when I was 9 years old when I heard my first live jazz at the local high school auditorium. I was absolutely captivated by the drummer on his pearl white drum set electrifying the audience with his syncopated rhythmic playing. My heart did a triple back flip with a double twist – I was just blown away ! I went home that night and announced I was going to be a drummer. It didn’t go over too well – we were a quiet Catholic family – but I sat and practiced my drum pad for months until my parents saw I was serious enough and then one day relented and bought me my own white pearl set of drums that I just adored and played every chance I could get. I had found rhythm and I was addicted ! Then at the age of 18 I bought my first Moog synthesizer. That 6 year old that liked to plunk one note at a time was totally blown away with the sounds that came out of this synthesizer – WOW ! It was like a drug for me. And not only could I generate a sound, but I could modulate it in all kinds of ways. I became a dedicated synthesist for many years. I always heard sounds within me that I have sometimes called the music of the spheres or the hum of God – and here was this keyboard that allowed me to explore to my heart’s content some really wild, far out sounds. Then, at the age of 31 while heading out to enact a very traditional vision quest in Canada I heard a Native American Flute for the first time – and that took me to a whole other world. There was something about the bittersweet, hauntingly familiar sound of the flute that took me to an even deeper place inside. I had never played a wind instrument before and to make sound with your breath – well, there is nothing quite like it. 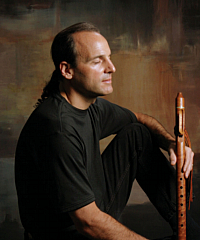 What was different about the flute was I was in need of some profound healing – it helped me cry and grieve and slowly, but surely brought me back to life after suffering from what I have come to call ‘compassion fatigue’ after working with severe cases of child abuse and neglect for many years. As a result, I’ve spent the last 16 years exploring a variety of ethnic and world percussion and aerophones into my music resulting in my last three commercially released albums, The River, Ocean and Siyotanka. John : Later in life you began your own private practice as a clinical psychologist and therapist, creating ONTOS, to help individuals and groups advance in life. What are the principals, mission, and what led you to create ONTOS? Michael : ONTOS is the Greek word for Being. Being is the most inclusive word in every language. The verb ‘to be’ weaves its way in and out of every sentence and every moment. It refers to the most mysterious essential core of who we are – our inmost Being. For me Being refers to the wholeness that we already are when we connect to the truth that is in our hearts – which is our natural interrelatedness with each other, the natural world and the cosmos – ultimately to all things. We are very lost today as a culture and a species. We have lost our natural sense of being part and parcel of the earth and cosmos. We have rather been taught the big lie of western culture that somehow we are different and superior to nature when in fact we are part and parcel of nature – we are a part of the web of life, not the owner or exploiter of it. We are paying a dear price for that today – and we need this deeper wisdom of the interconnectedness of all beings to get back into a healthier alignment with the natural world and each other. All human beings share 99.9 percent of the same DNA – only .1 percent accounts for all the differences between all people. We are all truly brothers and sisters, siblings in the cosmos. We even share 50 percent of the same DNA with Bananas! We are all connected with all living things. The mission of Ontos is to know that people heal and get better when they begin to experience their connection to life, nature and each other in a more fundamental and profound way. John : Stress for the caregiver is always a result when providing treatment to patients, so how do you yourself regroup, after treating hospice, cancer patients, and abused or neglected children in your care? Michael : Music, meditation and time in nature. I like to say my holy trinity is nature, creativity and spirituality. They bring me back into alignment. Another analogy I like to use is if I go to the river and get a bucket of water and bring it to people who are thirsty I have to be honest with myself when the bucket is empty and return to the river. In this way, I remember that I am simply a fellow journey or who is all too human and I try very hard to remind myself to take care of myself in order to be of good to others. I’ve burned out once before and am very sensitive about avoiding that again. For this reason I limit my clinical work to three days a week – and try to keep 4 days a week open for my creative work. This has been a really nice balance for me. Creativity tends to put into my heart and soul what therapy takes out – and therapy tends to put in what creativity pulls out. It’s like crop rotation – replenishing myself by alternating between being an artist and a healer. John : In your Healing Sound Series you began with The River, which led to the Ocean album. Your next in series will be titled Earth. What led you to begin the series, and in what ways are the albums alike and what are some of the tonal differences in the series? Michael : Great question John. The Healing Sound Series arose from my desire to use music in a way that our ancient ancestors understood it’s use most – for healing. 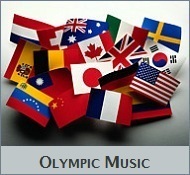 Our culture is the only culture on the planet that has used music primarily as a form of entertainment. To the ancient and indigenous cultures on our planet music was always used as a form of community building, ritual, meditation, prayer and most importantly, healing. The medicine man or woman used music, dance and song to do their healing work. 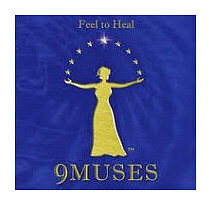 This was the first inspiration for the Healing Sound Series. The second is that as a psychologist I make sound tracks for relaxation tapes and visualization journeys for my clients and have for the last 25 years. I wanted to challenge myself to use this music and make it available to massage therapists, acupuncturists, yoga teachers and meditation teachers on a larger basis. It is also the desire of that 6 year old inside of me that still sees the miracle of life being how something arises and then disappears – perhaps it is an acknowledgement of the fleeting nature of life and how we each come into the world as a song and then must also eventually return to that place we came from. The River actually arose out of my work with hospice patients and my belief that life is like a river – and that when we die – like the river – we just change form as we empty our being into the vastness of Being itself – the Ocean. The Ocean became a natural follow-up to the The River – to explore this more formless place – the place from which the river comes from and to which it returns. You see this whole mysterious process of living and dying just fascinates me to no end – and music has been an amazing vehicle for me to explore this fascination in a healing way – and it turns out has been healing to others as well – which gives me great joy. John : Your current release Ocean is dedicated to hurricane survivors like yourself, and reflects on events that have happened in your life. Do you mind telling about this past event, and what is your musical objective for you and the listener? Michael : The Ocean album documents a particularly tragic and painful time in my life after we lost our home during hurricane Ivan. We had to move into the back of my office – my daughter was a senior in High School at a time. Our lives were turned inside out and upside down when a 15 foot wall of water enveloped our whole neighborhood. 90 percent of the homes on our street were destroyed. The place I taught my daughter to ride her bike, do her first cartwheel and build her playhouse – the place we called home would never be the same. The water had always been a source of relaxation and peace for me – now it looked anything but – an ominous, unpredictable and dangerous force. It really took me initially to a dark place – but it was out of this darkness that the music started to teach and heal me. I started having dreams of swimming with dolphins, whales and strange underwater creatures. The music really reveals that out of this darkness something beautiful comes. John : Siyotanka hit #1 and remained in the Top 20 chart for 6 months, you went on to win a Native American Music Award (NAMMY) in the Native Heart category, recently presented in Niagara falls. This album is based on a story, so could you tell us the storyline, and theatrical aspects of Siyotanka? Michael : Siyotanka is the Lakota word for ‘flute’ and sometimes is translated as ‘great song’. 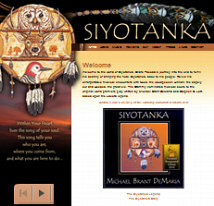 The legend of Siyotanka involves how the first Native American Flute came to be. It’s about a boy trying to find his place in the world. He thinks he is to hunt and elk – but doesn’t have much success and on the way he is distracted by this hauntingly beautiful, ghost like music. He follows the sound until he comes to a cedar tree that has had a branch hollowed out by termites. There is a woodpecker who has hollowed out a number of holes in the branch and is jumping from one hole to the other and as he does the wind blows through the branch and creates this mysterious music. He wants nothing more than to make this wood sing like that. It takes time and many adventures – a vision quest, a dream of the spirit of the woodpecker and many other lessons, but finally he learns to make the wood sing. He learns about humility, respect and listening deeply to Nature. John : You also are currently working on another album titled Voices, which explores new territory for you. What can we expect from the Voices project? Michael : This is something I’m very excited about John. Voices will be just that – nothing but human voices. I have been working with my voice more and more – and I’ll be using multi-layering of my voice and perhaps some guess vocalists on this album and we hope it will be a wonderful addition to the Healing Sound Series. John : In the past you have said nature inspires you the most. What aspects of nature, and how does silence, and individual notes from beginning to end, play an integral role in what you want people to hear and experience in your music? Michael : My holy trinity is Nature, creativity and spirituality. For me nature is God’s art. When we immerse ourselves in nature we are putting ourselves in alignment with the creative infinity of the universe. Nature has a way of not only healing us, but inspiring us. To me the music of nature is the most profound. There is an organic quality and rhythm to the sound of nature. For me it’s the music of life itself. I never tire of listening to the many sounds present in the natural world. I say I get many of my best stuff from the feathered one’s (the birds)! John : The instruments you play are keyboards, synthesizer, indigenous flutes, percussion, claves, and other aerophones, but you consider yourself a flutist at heart. 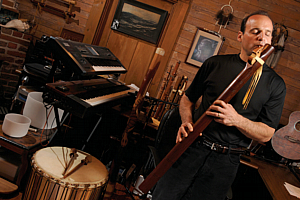 Why is the flute your passion, and what are some of the varying tonal attributes in the indigenous flutes and percussion instruments used in your music? 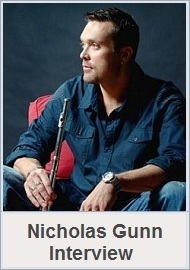 Michael : Yes, John, although I grew up playing keyboards and percussion – and fell in love with the synthesizer in my late teens and 20’s – I’ve come to realize I’m a flute player at heart. There is something about using my breath to create music that connects me with the spirit-that-moves-in-all-things in a profound way. I disappear into the music playing the flute like nothing else. I close my eyes and it’s the closest thing I have ever experienced to flying. I feel my spirit soar when I play – and it is a thrill and joy like no other for me. John : You have presently authored 3 personal growth books, and have stated a love for poetry having performed on stage with world renowned poets. Could you tell us about the books you wrote, and some of your experiences as a recognized author and expressions as a poet? Michael : I have written 3 books. The first Horns and Halos: Towards the Blessing of Darkness is more of an academic work. This was published in 1992 and explores the terrain of love/hate relationships. I was working with child abuse victims at the time – and I was trying to understand how loving relationships could turn so violent. It was a way for me to make peace with much of the tragedy I was witnessed to for so many years in my early clinical work. My second book, Ever Flowing On: On being and becoming oneself is a book for a general readership and was my first attempt to write less academically and more from the heart. It includes the story of my first vision quest and my love of music and nature. It is a personal growth book for the serious seeker. It has also been called a wisdom book for the soul’s journey. It is broken into 4 parts, The Source, The Abyss, The Quest and The Dance. It was inspired by a dream where my grandmother came to me and asked me if I died tomorrow, what of value do I have to leave my daughter. My goal was to write down what I felt was important in living a life. It is a book that is near and dear to my heart – a labor of love ultimately for my daughter. My last book is Moments, which is my first full length collection of poetry. Next to music, poetry is my favorite form of expression. It has always been a companion for me during dark times. It was a great joy for me to play with Robert Bly and David Whyte, both of whom have inspired me creatively in many ways. I can’t remember who said it, but the quote I love most about poetry is that in every poem the universe gives up a secret. I really like that idea – and I personally experience it that way. For me, life itself ultimately is a poem – and to live fully and well is to become an artist of life. John : Your achievements and experiences are just too numerous to list in this single interview Michael, so I wanted to give you an opportunity to tell our readers anything about yourself we haven’t covered in our interview. Michael : John, you have been so kind and generous with your words. It’s an honor to be part of newagemusic.nu. I guess the only other area I’d like to share about is that in addition to Siyotanka I have written another play, Café Mezzo that was produced and received wonderful reviews including best play of the year for the theatre it was produced in (The Loblolly Theatre). I have also written a full length screenplay that I hope to see produced one day. My greatest love is weaving music, words and images into meaningful and hopefully healing stories for the soul’s journey. Stories and music have tremendous power to move us and transform us – so it is my hope in my creative work to add a bit of sanity and beauty to a world that is in desperate need of it. I hope I can also inspire others to share their own creative expressions. For me, the artist does for a culture, what a therapist does for an individual. So ultimately all my work arises from the same inspiration and motivation – to heal and become more and more whole – individually and collectively. John : We wish the best for you as a Grammy nominee Michael. It’s been an honor to learn more about you while preparing, then conducting our interview together. On behalf of our readers, thanks again and let’s keep in touch. Michael : Thank you so much John. 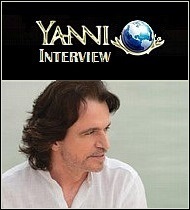 I have thoroughly enjoyed this interview and the depth and genuineness of your questions. Yes, by all means let’s stay in touch – it’s again a joy to be a part of newagemusic.nu! Wishing you, your family and all your readers a blessed holiday season! Visit Michael’s ontos.org website. My album review of Ocean and related articles are on Michael’s page. There is a footnote to this Interview. Michael informed me that ZMR has placed his Ocean album at the Top # 1 Recording for November 2009. In addition, Improvijazzation has selected Ocean as their Best Ambient Album of the Year for 2008. This is great news, and we are proud to present some of today’s top talents in the music industry to our readers. Congratulations again Michael! Photos are courtesy of ontos.org. Katrina is a name that brings up vivid memories and sense of helplessness for all who witnessed the hurricane’s massive devastation and became the largest natural disaster in American history. 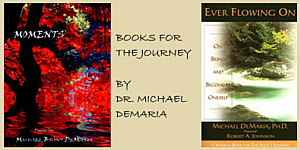 Michael Brant DeMaria, PH.D. is a clinical psychologist, composing musician, poet, author, and dedicator of his Healing Sound Series to all hurricane survivors past, present, and future. In his psychotherapy practice, Michael created ONTOS ( Greek for Being ) to help people live more meaningful and effective lives, and his ambient music is designed as therapy to help assist survivors by easing their return to coastal living again. While writing this review I learned Michael was among those who lost their family home during the 2004 – 2005 hurricane seasons, so his therapy support does arrive from a first person perspective. 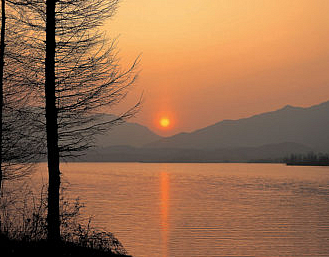 The River began the Healing Sound Series, with Ocean second in the series based on over 25 years of personal and professional research in the fundamental principals of sonic healing techniques, helping survivors relax and return to a more peaceful existence through ambient sound techniques. His third release Siyotanka won the Native American Music Award in the Native Heart category, being placed on the Grammy ballot for Best Native American Music Album, while retaining the # 1 position on ZMR charts in February 2009. His music, art, and poetry acquired U.S. recognition while gaining international acceptance in Australia, Europe, and Russia, touching the lives of many persons. The Ocean album helps reclaim the natural bond we share with our greater oceanic waters, rejuvenating our vital relationship by interweaving calming ambient therapy, in a bright reflection that restores a more positive link with our mysterious, life sustaining hydrosphere. Ocean responds by calming ambiance and some unique blending of World & Contemporary instrumentals of Native American flute, African Djembe, Middle Eastern Doumbek, Indian Sruti box and Aerophones. 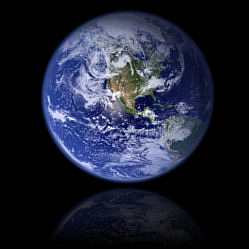 More traditional keyboards, piano, and percussion also form the connection into 11 songs reflecting titles in the theme of our primarily blue planet. Open Water begins with a compelling quiet stillness, approaching more subtle moments before synthesizer starts the slow emergence into woodwinds equally calming approach, nicely illustrating the vast waters that comprise over seventy percent of the Earth. Light ambient notes appear in Moonlit Sea to instill a moment of solitude before woodwind flute begins a comforting reflection by softer drawn out notes, generating a gentle shimmering effect like small surface ripples moving outward on top of peaceful waters. Transformation enters a flute prelude with graceful motions that show like soft sound waves quietly lapping against the shoreline and ambient notes soon appear like airy clouds that drift alongside bass percussion signaling an ancient rhythm. The distant chants put forth a revitalizing atmosphere while deeper tones give an impression of deep universal depths, before bringing the lighter theme back to the surface. The commingling of deep and shallower notes are also heard in Remember, conveying soft chants and woodwinds while interacting with a deeper mesmerizing background, defining the chosen ambient theme for the album as a pleasant and relaxing one. In Search Of Home divulges into intrigue I felt was natural, enchanting, and just right for a final reflection about the Oceans since we enjoy, yet depend on them so much. Just like our hydrosphere which pretty much remains a universal unsolved mystery that completely surrounds us. 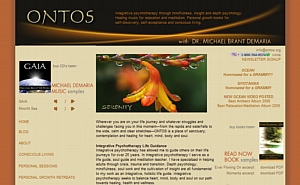 Visit Dr. Michael Brant DeMaria’s website at ontos.org. Music can be sampled and purchased at ontosmusic.com here, or his CD Baby.com page here. 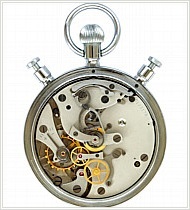 Picture copyright Bigstockphoto.com – argus456. We will present an Interview with Michael Brant DeMaria PH.D. in the near future. John P. Olsen is preparing the in-depth questions to examine his expansive career as clinical psychologist, musician, public speaker, poet, and author. In the Grammy Nomination Awards ceremony held on Thursday, December 2, 2009, Michael was among those honored by his nomination to the list of candidates for a prestigious Grammy Award, being the top award in the music industry. Siyotanka is the release that placed his name in contention for the Best Native American Music Album. Upon hearing this outstanding news about Michael just hours ago, B T Fasmer and I wish him the very best, when the final winner is decided and the award is presented to one of the five equally deserving nominees. Prior to this news release about Michael’s Grammy Nomination, his Siyotanka album, which tells a story in song, decisively won a coveted Native American Music Award, ( NAMA ) in the Native Heart category, winning a prestigious ( NAMMY ) of the many well respected contenders. In his psychotherapy practice, Michael created ONTOS to help people live more meaningful and effective lives. 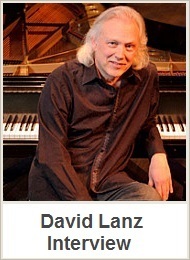 His music therapy expertise was acquired by personal and professional research in the fundamental principals of ambient sound techniques, acquired throughout his 25 year professional career. His Healing Sound Series began with The River, and second in series Ocean, are prescribed with a relaxing ambient concept to assist with life issues, or as stress relief to hurricane survivors, for which the Ocean album is dedicated. 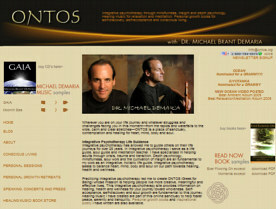 Learn more about Dr. Michael Brant DeMaria before the Interview is posted, by visiting ontos.org here and his music store ontosmusic.com here. The current review of his Ocean album titled Oceanic living can be found on our pages dedicated to Michael Brant DeMaria. Congratulations on your Grammy Nomination Michael!